The story of one of Minnesota’s most famous and most mourned buildings, set against the history of downtown Minneapolis. 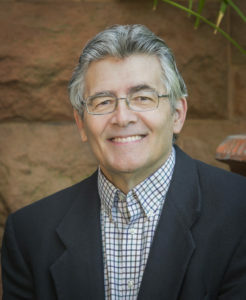 Against the thrumming backdrop of turn-of-the-century Minneapolis, architectural critic and historian Larry Millett recreates the impressive rise of the massive office building, its walls of green New Hampshire granite and red Lake Superior sandstone surrounding its true architectural wonder, a dazzling twelve-story iron and glass light court. The drama, however, was far from confined to the building itself. 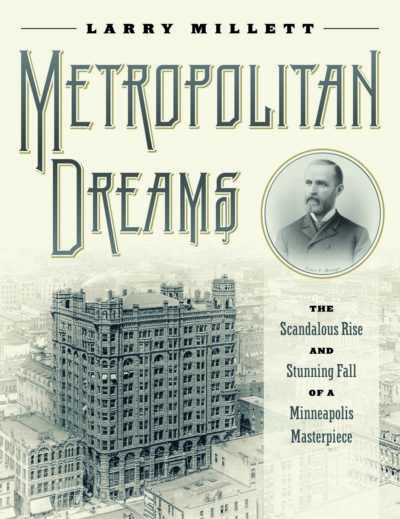 A consummate storyteller, Millett summons the frenetic atmosphere in Gilded Age Minneapolis that encouraged the likes of Northwestern Guaranty’s founder, real estate speculator Louis Menage, whose shady deals financed this Minneapolis masterpiece—and then forced him to flee both prosecution and the country a mere three years later. Dubious as its financial beginnings might have been, the economic circumstances of the Metropolitan’s demise were at least as questionable. Anchoring Minneapolis’s historic Gateway District in its heyday, the building’s fortunes shifted with the city’s demographics and finally it fell victim to the fervor of one of the largest downtown urban renewal projects ever undertaken in the United States. Though the long and furious battle to save the Metropolitan ultimately failed in 1962, its ghost persists in the passion for historic preservation stirred by its demise—and in Metropolitan Dreams, whose photographs, architectural drawings, and absorbing narrative bring the building and its story to vibrant, enduring life. Larry Millet. Photo by Matt Schmidt.